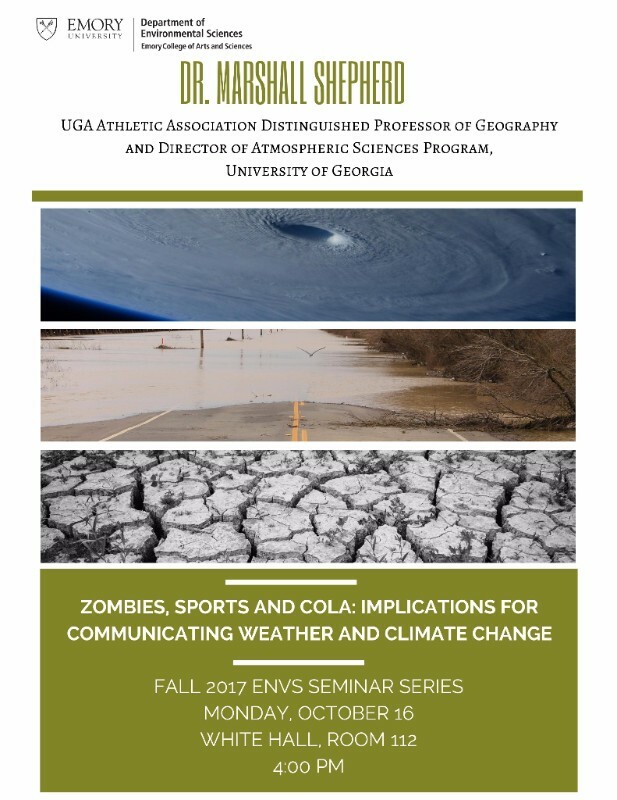 This past Monday, I had the pleasure of attending a lecture given by Dr. Marshall Shepherd, the Director of the University of Georgia’s Atmospheric Sciences Program. 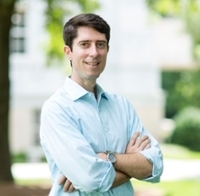 Dr. Shepherd is a renowned meteorologist, and in addition to teaching, hosts the Weather Channel Show Weather Geeks. He previously worked as a research meteorologist for NASA for 12 years, and served on the National Oceanic and Atmospheric Administration (NOAA) Science Advisory Board. Dr. Shepherd’s talk entitled “Zombies, Cola, and Sports: Implications for communicating weather and climate change” highlighted some of the major challenges with communicating climate change to the public, and the downfalls of our current methods of communication. When I walked into this lecture, I had no idea what to expect from the title alone, but I discovered an engaging and informative presentation that addressed exactly what the title said it would. I walked out with a whole new outlook on communicating climate science. When people hear the phrase climate change, many have an immediate thought or perception on the matter. It’s the same as with hurricanes and tornadoes. However, these perceptions are often wrong, and overcoming them is one of the greatest challenges of effective communication. While climate change is still a disputed topic, most people would say that they understand the weather. If you are playing sports and it gets hot, oh well, you sweat a little more; but the second you see lightning, practice needs to stop. People assume that lightning is the more dangerous occurrence, but what they don’t realize is that heat is the deadliest natural phenomenon in that scenario. During Hurricane Harvey the people of Texas thought the hurricane would be the worst of what hit them, but this danger was nothing compared to the massive flooding that ensued from heavy rains. Heat and rain are familiar to people, and as such they tend to not consider their dangers. In addition, people still look toward unreliable sources as a means for their information. Dr. Shepherd recalled how he often receives emails from people asking him if he agrees with the groundhog’s forecast. People tend to apply these same perceptions of weather to climate. They are the same after all, right? While the confusion between these terms is declining, the belief that they are the same thing is still held by many people. For all those confused, Dr. Shepherd has a great analogy: weather is your mood, climate is your personality. Almost more infamous than belief in climate change, is the recurring question, “Was that event caused by climate change?” Dr. Shepherd stated that this is an ill posed question. While climate change itself did not directly cause Hurricane Harvey, Irma, or Maria, it did play a role in its formation. Climate change encourages events to occur more frequently or with higher intensity—a result similar to playing a game with loaded dice. Misinformation is another of the great challenges of climate communication. There are a number of theories, zombie theories as Dr. Shepherd likes to call them, which are just plain wrong theories about climate change. They have been so programmed into the public’s system that many count these theories as true. This is the fuel of climate skeptics. 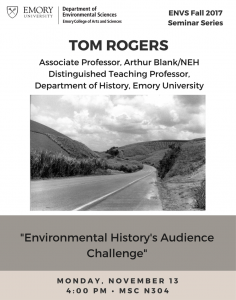 Overall, Dr. Shepherd described how it is difficult for people to imagine what they have never known, and how that makes it difficult to determine the best way to approach the topic of climate change. What works and what doesn’t is going to be different for different people, so we can’t deliver the message in the same way for everyone. The question is how do we communicate this threat? And this will still be a question for a while to come.